This handsome guy will really win your heart! 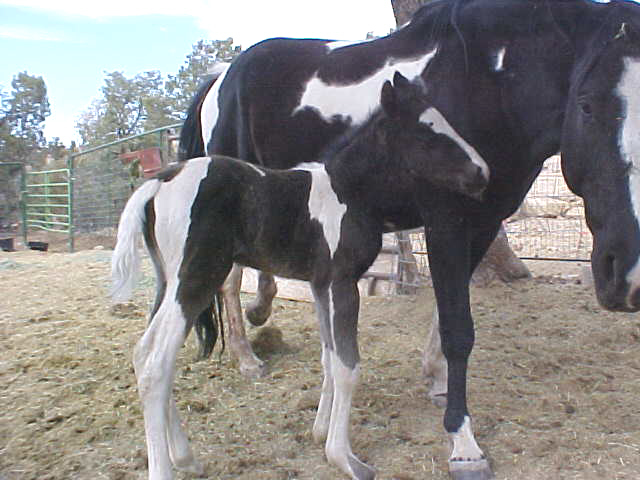 Out first foal of '06, he is a great way to start the year! 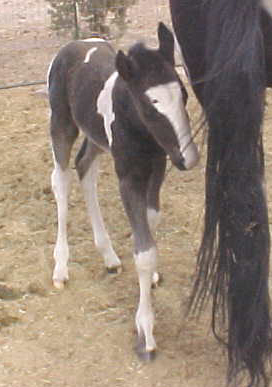 Very nice markings on a big leggy colt who should mature over 15 hands from his looks and pedigree. He should run like the wind too, and he already is displaying a very good, friendly and playful personality. 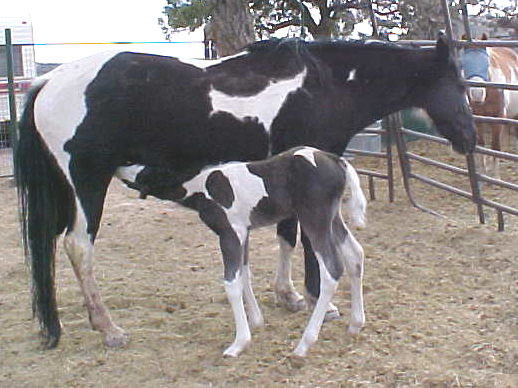 This colt has lots of real champions in his bloodlines. While this is the first time we have made this cross, I can tell you, it won't be the last!